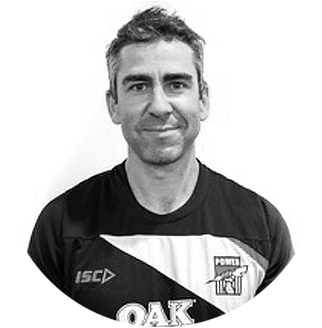 Tim is a highly experienced physiotherapist who completed his undergraduate and Masters of Musculoskeletal and Sports Physiotherapy training in Adelaide before going on to work in multiple professional sporting organisations across Adelaide and over the world in the last 10 years. Tim has worked with soccer teams in the English Premier League, the Milwaukee Bucks basketball team in the NBA and is now in his second stint at the Port Adelaide Football Club as the current Head of Medical Services. Tim has a keen interest in the assessment and management of injuries from all sports. He has a particular interest in lower limb injuries including hamstring, hip, groin and pelvis, knee injuries (including ACL) and ankle injuries.